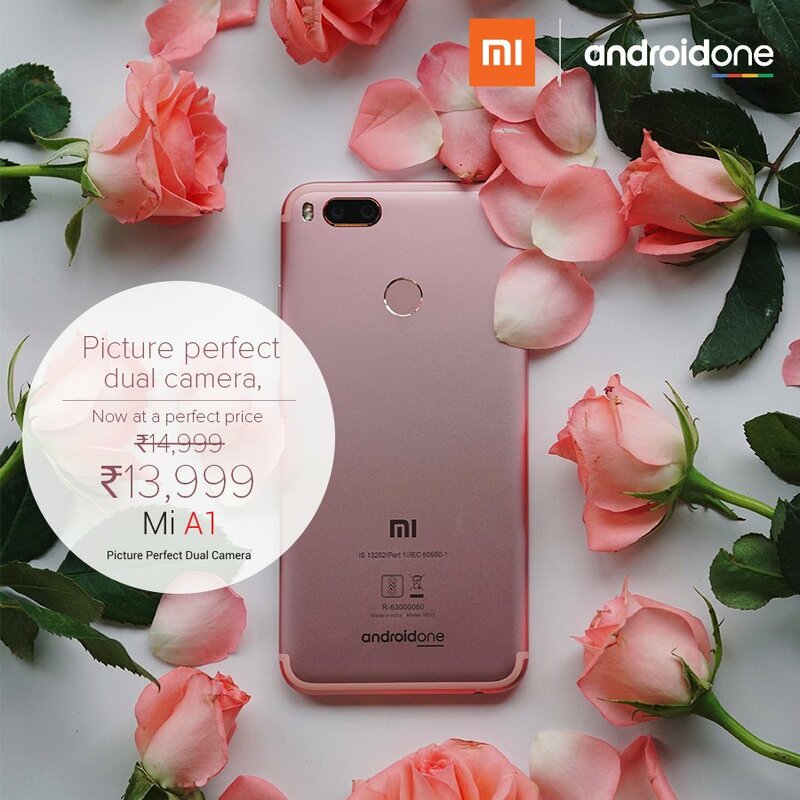 Xiaomi Announces Permanent Price Cut Of Rs 1000 For Mi A1 - AndroGuider | One Stop For The Techy You! The Mi A1 marked Xiaomi's first foray into Android One. Android One devices come with stock, vanilla flavour of Android designed by Google. The Mi A1 was launched in September this year with an asking price of Rs 14,999. The device was recently available at a discount of Rs 2000 on Flipkart's Big Shopping Days. Xiaomi has now permanently cut the price of the Mi A1. The Mi A1 can now be bought for Rs 13,999, which is Rs 1000 lesser than the price the phone was launched with. The Mi A1 can be purchased from Flipkart, Mi.com, Mi Home Stores and various retail stores like E-Zone, Croma, Sangeetha, Poorvika, Big C, LOT, UniverCell, and Vijay Sales. At the time of writing this article, Flipkart had an exchange offer for the Mi A1. Using the offer, you can avail a discount of up to Rs 13,000 in exchange of an old smartphone. You can check out Mi A1's product page on Flipkart for more information.